Pretend your a princess and your best friend is a dragon, or a knight that rides a unicorn. 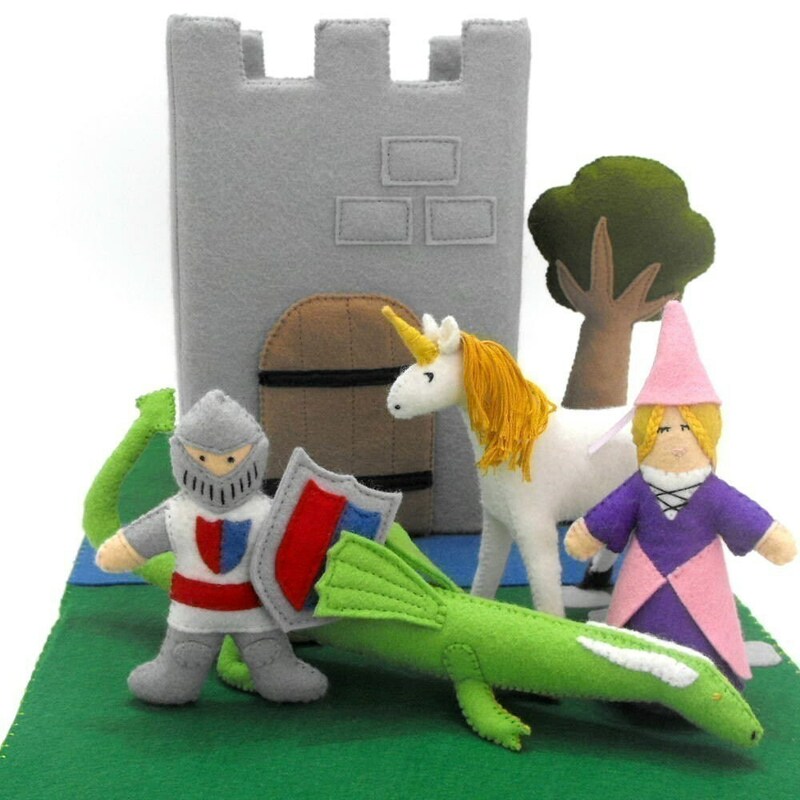 Anything is possible with this Medieval castle play tote pattern. Castle opens for a little domestic play, and there is even a working drawbridge! Is the water a flowing river or a mote? Sure to provide hours of play and endless adventures. When you're finished playing, just fold up the castle and store everything in the tote. Perfect when you are on the go- or quiet play time. I can't wait to make this....love the dragon!